The Nai Aupuni aha process concludes after a month of committee meetings and floor debate over self-governance. By a vote of 88 to 30, a Native Hawaiian constitution was adopted Friday by participants in the Nai Aupuni aha, or convention. Participants at the Nai Aupuni aha in Maunawili. It’s unclear what happens next, but it seems a constitution would be subject to ratification by Hawaiians. For now, Nai Aupuni says aha plenary sessions are being broadcast on Olelo Community Media. The conclusion to the aha came one day after another group of Hawaiians held an aha of their own on Oahu. 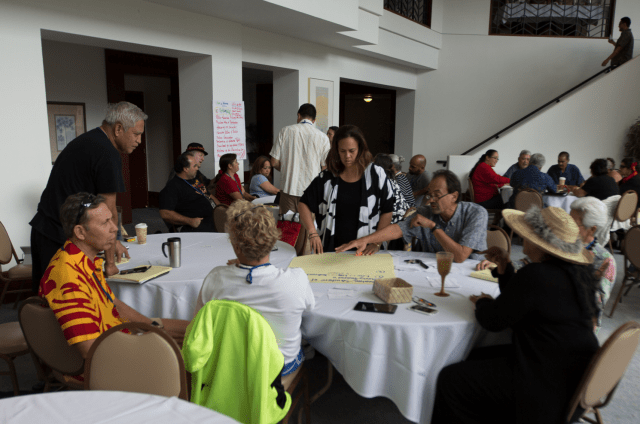 Aha Aloha Aina 2016 objects to Nai Aupuni and has its own views on independence. Nai Aupuni aha participants discussing governance. The attempt to establish a single race-based nation violates the Aloha Spirit and goes against the will of the majority of Hawaiians. This effort also violates the United States Constitution in that it has used public funds to establish a racially discriminatory process. 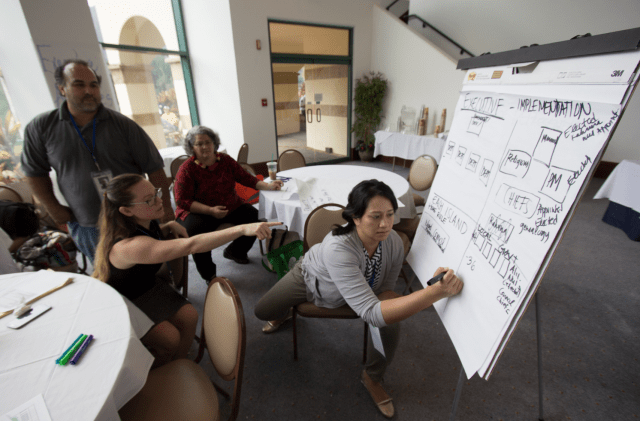 Instead of wasting millions of public dollars on a divisive political movement, state government and Hawaiian leaders should use these financial resources to advance Hawaiians through education, housing, commerce, and health care.